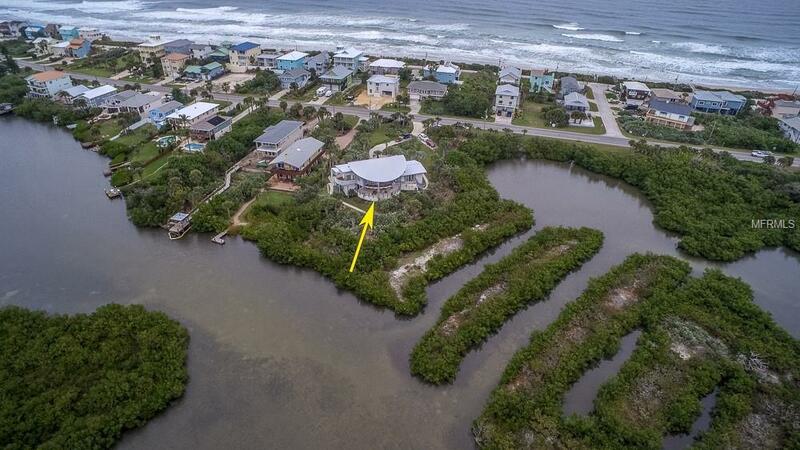 Unique & stunning riverfront home situated on a 1.05 acre lot surrounded on 2 sides by the Indian River Estuary! 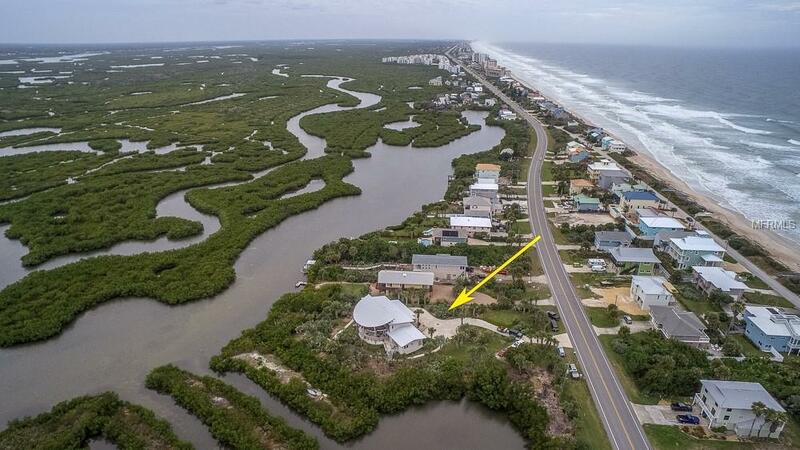 Breathtaking views from all rooms of sunrises & sunsets, from the ocean to the river! 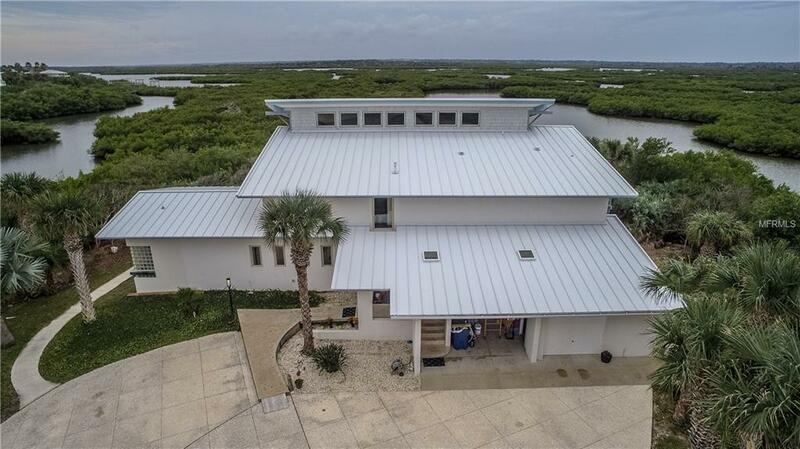 Custom built in 2008 & designed by the famous architect, Schweizer, this architectural masterpiece features exotic & top of the line quality throughout, including epe wood trim & built-ins, bamboo flooring, river rock & granite. 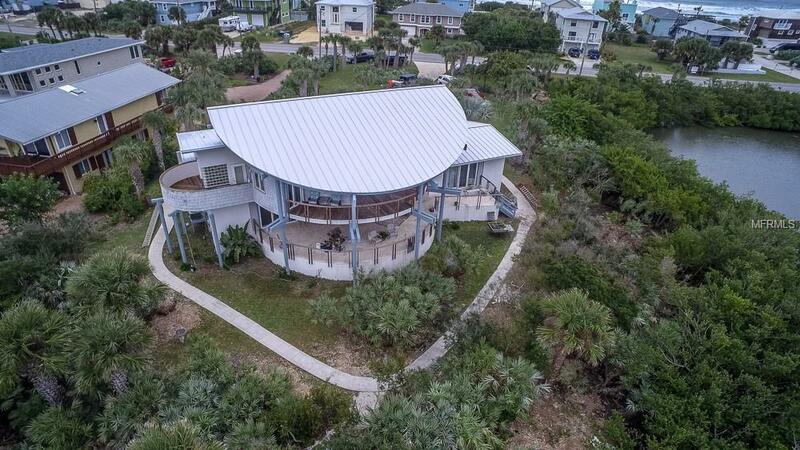 Expansive decks of epe wood provide spectacular views of pristine Florida and offer lots of room to enjoy the ocean breeze! Attractive keystone coral walkway welcomes you to the 2 level living area and gourmet kitchen. The master suite on the 2nd floor is surrounded by floor to ceiling windows and opens to a spacious private balcony. Very special master bath features a marble shower with glass block, river rock floor & a slate border accent. Dual vessel sinks on a quartz counter with special lighting add to the ambience of this luxurious bath! Leading from the stairwell to the master suite is a 28' studio or gallery, lined with epe wood shelves for collectibles or books. You'll love the 1st floor bedroom which opens to the expansive epe deck & features an exquisite & unique bathroom with river rock & stone. The in-law suite or guest quarters downstairs features a queen murphy bed w/ lots of attractive wood shelving and a beautiful kitchenette with wood cabinets & SS appliances. Other features incl a metal roof, 3 new A/C units, tankless ranai water heater, chair stairlift on stairwell.